I’ve been doing some background research on making artificial fish habitat as part of our conservation activities for our local B.A.S.S. club (Forest City Bassmasters). While sifting through some of the scientific literature I came across S.J. Cooke and D.P. Philip’s (eds.) 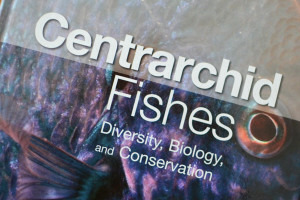 book entitled “Centrarchid Fishes: Diversity, Biology, and Conservation.” The centrarchid family, known as the freshwater sunfishes, includes many of our prominent sport fish including largemouth bass (Micropterus salmoides), Florida bass, spotted bass, smallmouth bass (Micropterus dolomieu), bluegill, pumpkinseed, crappie and rock bass. Written by a group of international experts, the book is intended for fish biologist, ecologists, conservation scientists, fisheries managers and university level students. The amount of vegetation in the lake has complex effects on juvenile bass. More vegetation means decreased predation risk (getting eaten) but also decreased ability to capture prey (getting to eat) and vice versa. Substrate (cobble/stones) structure shows a similar relationship. Peak spawning for largemouth occurs at 16 to 18°C. Smallmouth and largemouth bass males guard their nests for 22 days (ave.) – 3 days for the egg stage, 2 for the egg-sac fry, 2 for swim-up fry and 15 for free swimming fry (at around 18°C). Largemouth bass have been planted in 14 Central and South American countries, 16 African countries, along with European and Asian countries and extensively throughout North America. Popular sport fisheries have developed in South Africa, Japan, Spain, Italy and France. Largemouth bass, crappie and bluegill do better in “lentic” system (lakes, ponds) while smallmouth and spotted bass do better in “lotic” systems (rivers, moving water) and the addition or removal of dams can change the balance of these species present. In reservoirs, the addition of native aquatic vegetation and the construction of artificial reefs can provide valuable habitat for both adult and juvenile centrarchids. 1. S.J. Cooke, D.P. Philipp (eds.) 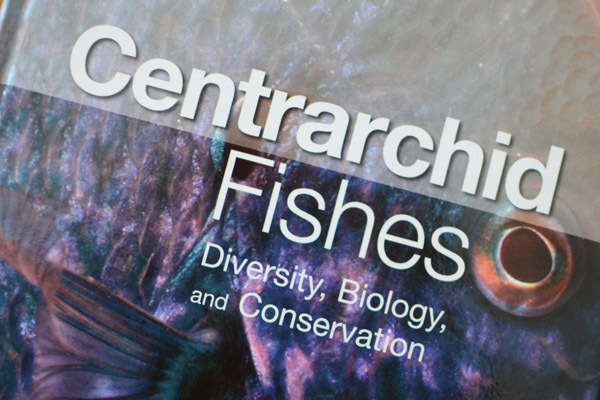 “Centrarchid Fishes: Diversity, Biology, and Conservation”, Wiley-Blackwell, Chichester, 2009. Fish Science, Largemouth Bass, Research, Smallmouth Bass.